There are 90 unhealthy small churches to every unhealthy megachurch because small churches outnumber megachurches by about 90 to 1. I like the idea of small churches. But if they’re so great, why do I see so many more unhealthy small churches than unhealthy big churches? A small church pastor asked me that question recently. Not from cynicism or unkindness. It was out of genuine concern for a reality he saw. To be honest, it’s a reality we all see. The vast majority of unhealthy churches are small. That’s unarguably true. What’s not true is his concern that most small churches are unhealthy. There’s a very clear explanation as to why there are so many more unhealthy small churches than unhealthy big churches. 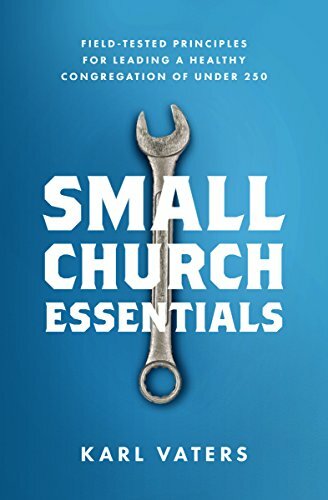 90 percent of unhealthy churches are small because 90 percent of ALL churches are small. It’s that simple. Small churches outnumber megachurches by such massive amounts that there are more of every kind of small church than there are of the same kinds of megachurches. Let’s turn that inside-out to see the other side of the same truth. Less than 1 percent of unhealthy churches are megachurches because less than 1 percent of ALL churches are megachurches. There’s no evidence that small churches are more prone to ill-health than megachurches. The abundance of unhealthy small churches compared to unhealthy megachurches is not a crisis, it’s mathematically inevitable. You’re more likely to run into unhappy small church members than unhappy megachurch members – but you’ll also run into more happy small church members than happy megachurch members. Why? Healthy small churches greatly outnumber healthy megachurches. Not because small churches are inherently better, but because of the same 90-to-1 math. So hang in there, small church pastors. Despite the abundance of unhealthy small churches, there’s no need to worry that your church is more susceptible to ill-health just because it’s small. There are millions of healthy small churches throughout the world. Hopefully your church is one of them. Despite those numbers, we all know that there’s another truth lurking behind my friend’s question. Small churches are not doing as well as we should. While there are lots of good small churches in the world, there aren’t nearly enough great ones. “Good enough” isn’t good enough any more. For some starter ideas about how to move from good or not-so-good to great, check out my previous post, Small ≠ Broken: 5 Steps to Greatness In a Small Church. Yes, it can be done. And no, it’s not as hard as you think.